Limited to a certain number of people? (optional): No. I'll recruit a co-organizer if needed. Swirls made on paper, swirls out of fabric, swirls made of yarn, swirls made on canvas.. who doesn't love swirls? Swirls can take something good and turn it in to awesome - unless you add too many swirls I suppose...? Or can there never be enough swirls?? 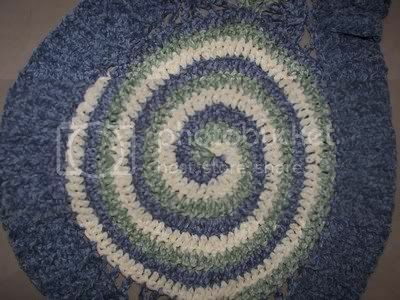 You will craft up 4 points and incorporate the beloved swirl in to your projects! What are your favorite crafts to do? What kind of crafts might you like do for this swap? Is there anything that you do not under any circumstance want to receive? Is there a theme you would like your partner to swirl with? Is there a theme or subject you would like to keep the swirl away from? crossed out - feedback left! Thanks for swapping!! I love this idea, and might sign up. I think the dates are incorrect, though? I think I lost an entire month lol. This could be really cute! I wish I could join right now but between the IYP swap and work I'm not sure I could devote enough attention to it. I'll be keeping an eye on the gallery though! horray, I'm in! I have the most beautiful piece of swirly paper and I can't wait to use it somehow. Awesome swap idea! I might be in for this. Consider me amused by this concept. I'm not supposed to join anymore swaps per hubby's orders...but this might be a good one! !